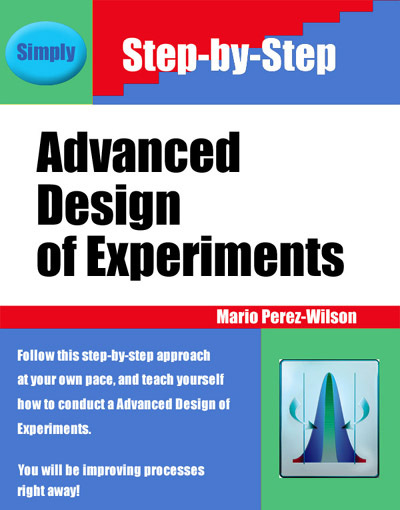 This course on advanced Design of Experiments (ADOE) covers designs with multiple factors, multiple levels, with random, fixed and mixed-effect models, combined with crossed and nested factors. Restriction on randomization and multiple different experimental units (within an experiment) leads into complex designs with multiple experimental errors. The application of these designs in industrial settings are the norm not the exception. Unfortunately, they are usually not recognized (by the novice practitioner), leading to incorrect analysis and erroneous conclusions. In particular, these designs are applicable to processes, such as Medical Device, Pharmaceutical, and Printed Circuit Board and Semiconductor fabrication. All examples are based on industrial applications by ASC. Analysis will be done using Minitab®, or JMP.